Do you need a bigger file? The file available on this site is 1024 x 959 px. To obtain an alternate file type or higher resolution copy, please contact the owning institution. Scope/Content: Audio recording of the UCI University Chorus and orchestra recorded at the University of California, Irvine on May 5, 1972. Scope/Content: Overture to "Les Francs Juges" / Hector Berlioz -- Symphony No. 96, "The Miracle" / Joseph Haydn -- Mass in A flat major / Franz Schubert (short dropout in recording). Performers: Nancy Bramlage, soprano ; Jane Westbrook, contralto ; Paul Harms, tenor ; Gordon Ewing, bass ; The University Chorus and Orchestra ; Newell Jenkins, cond. 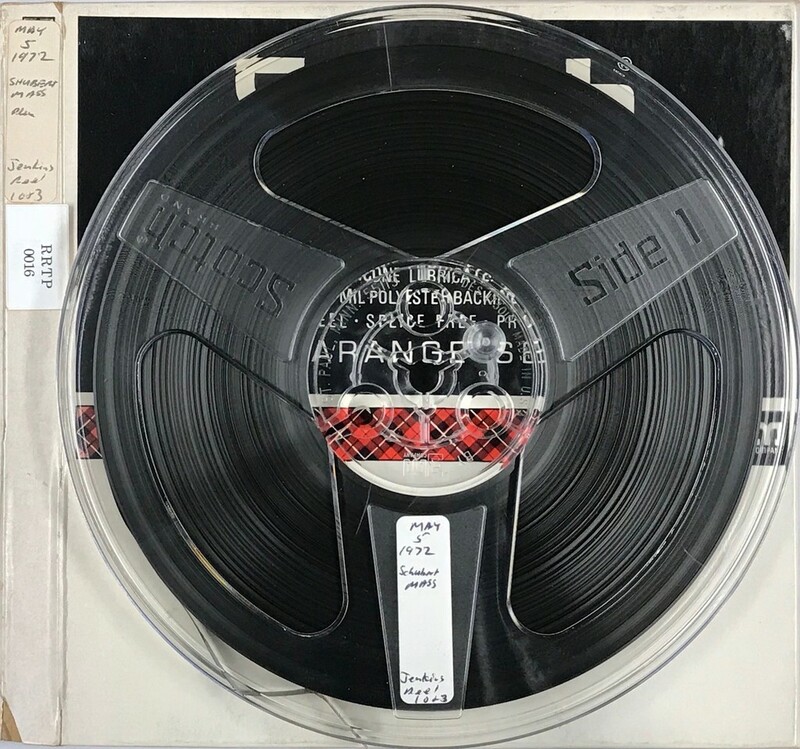 Conservation History: Digitized from reel-to-reel tape April 4-5, 2018 by Mass Productions, Tewksbury, MA.